Reminders from the Health & Fitness Committee for a Healthy 2019! 1) February 9- Keiki Great Aloha Run (Ala Moana Beach Park) deadline to register is January 31 (online only) $20 each runner includes T-shirt, breakfast, and activities. $15 of each registration goes back to MES if more than 10 people sign up. 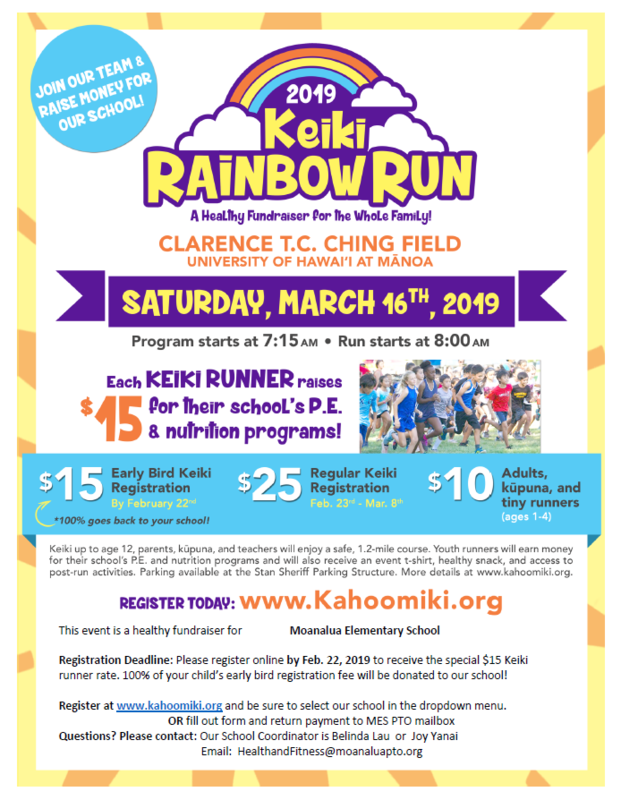 2) March 16- Keiki Rainbow Run (UH Manoa) $15 registered students includes T-shirt, breakfast, & activities and $10 for adults (no T-shirt) Turn in forms to PTO mailbox with payment. 100% of registration $ collected goes back to the school. 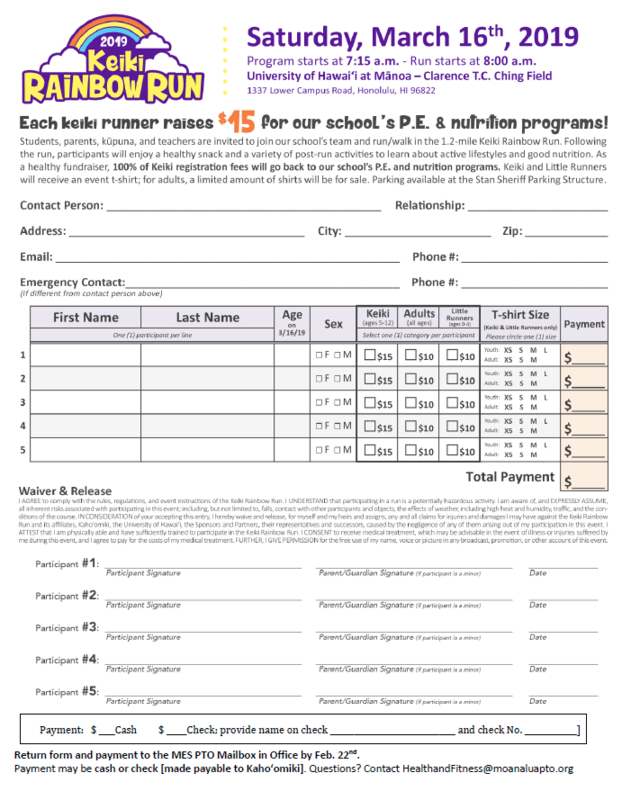 Pick up runner packets at MES cafeteria March 11 after school or March 14 @ PTO meeting. 3) March 29- MES Tech Trek & Fitness Day – Collection Period Jan.30-Feb.19 Envelopes and Forms due Feb.20 to qualify for prizes. Top Collector will win a Nintendo Switch. Goal is for each student to collect $50 to reach $40,000 school goal.